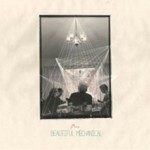 Clearing, Dawn, Dance was written specifically for the six virtuoso musicians of yMusic, who commissioned this work for their debut album, Beautiful Mechanical. It’s a piece that tries to take advantage of their unique skills and personalities; they are a chamber group that can behave as a tight, seamless ensemble, but they also embrace and even flaunt their individual personalities within the group. That’s a rare combination and it was a pleasure to write this piece for them, and to have them truly make it their own.